Click the button below to add the Typhoon Hand Held Siren 100w to your wish list. Feniex Typhoon Handheld is a 100w siren and light controller in one, ideal for police and fire applications. The controller has 6 programmable buttons to pair with any emergency vehicle light. 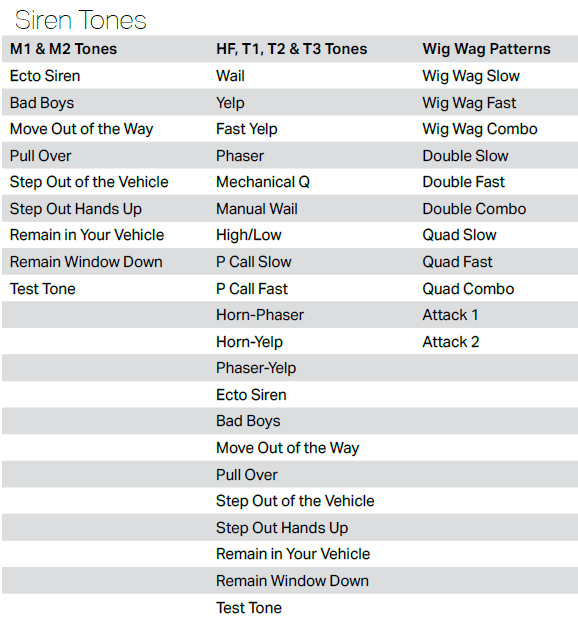 The Typhoon is the most advanced siren for cars; with 21 police and fire tones, air horn, park kill and radio rebroadcast functionality. The police car siren has a built-in microphone and can be mounted virtually anywhere on the vehicle. The Typhoon Hand Held integrated siren/controller features an integrated microphone, 6 programmable outputs and 7 siren tone buttons.